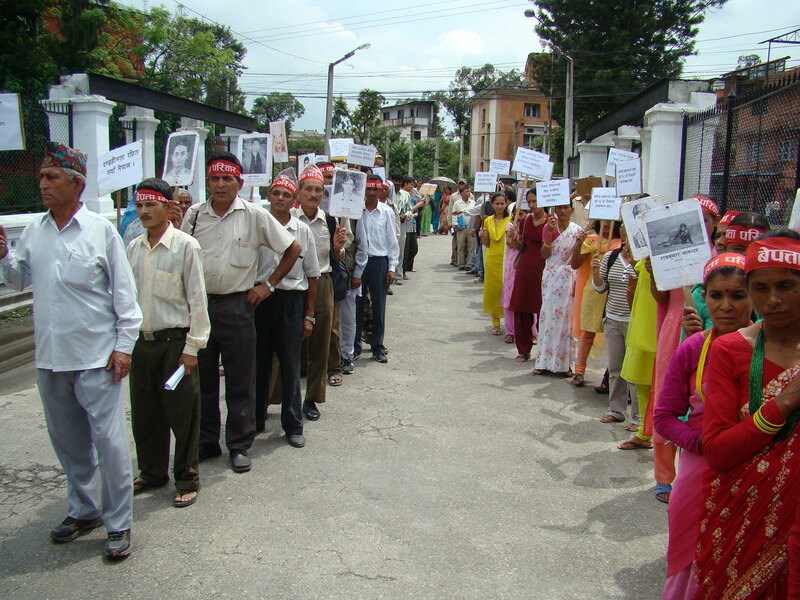 Conflict Victims' Society for Justice (CVSJ) Nepal was established in the early 2000s by a group of victims who sought to redress abuses committed against them by state security forces and the then Maoist rebels. CVSJ was formally registered as a non-governmental organization on August 25, 2008. Fearing reprisals from the security forces and the Maoists, the victims started travelling in groups to register their complaints and document their cases. During the height of the conflict, CVSJ began to form a network of victims throughout the country, and its members would accompany each other to police stations to file reports of abuses. The CVSJ network enabled those who were afraid of reprisals from state security forces and the Maoists to band together and advocate local and federal institutions for their human rights. 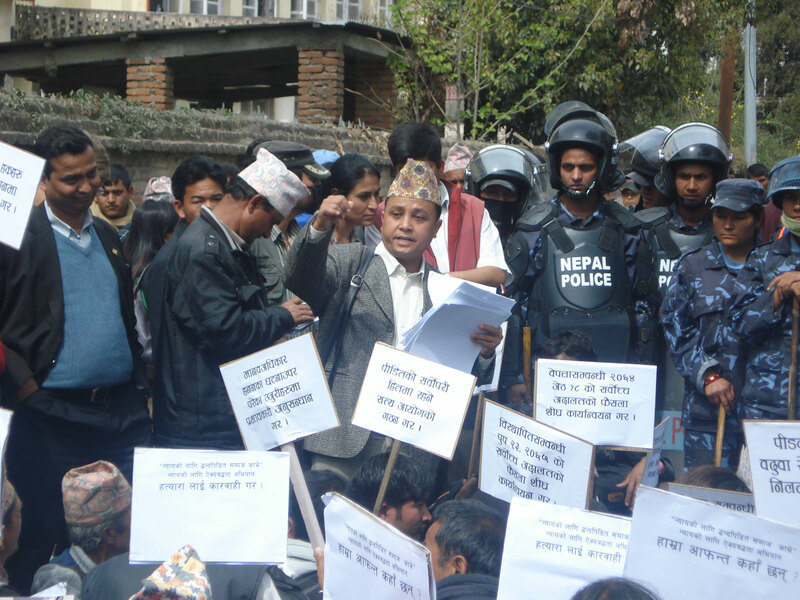 Following the signing of the Comprehensive Peace Agreement (CPA) in 2006, CVSJ-Nepal established its first victim pressure group, which aimed to exert sustained pressure on the Government of Nepal to register and investigate cases of human rights abuses committed during the conflict. CVSJ has promulgated and submitted petitions to government agencies concerned, and has been at the fore-front in advocacy, documentation, awareness campaigning, lobbying, and human rights trainings. 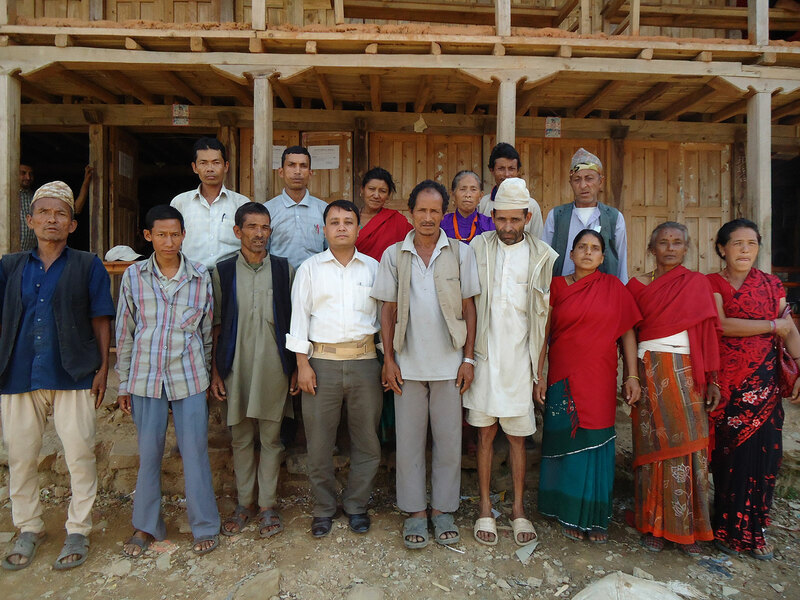 It has expanded its outreach to 55 districts out of 75 and has formed 300 grassroots-level committees throughout Nepal. It has covered all the regions of the country geographically located from eastern to far-western. 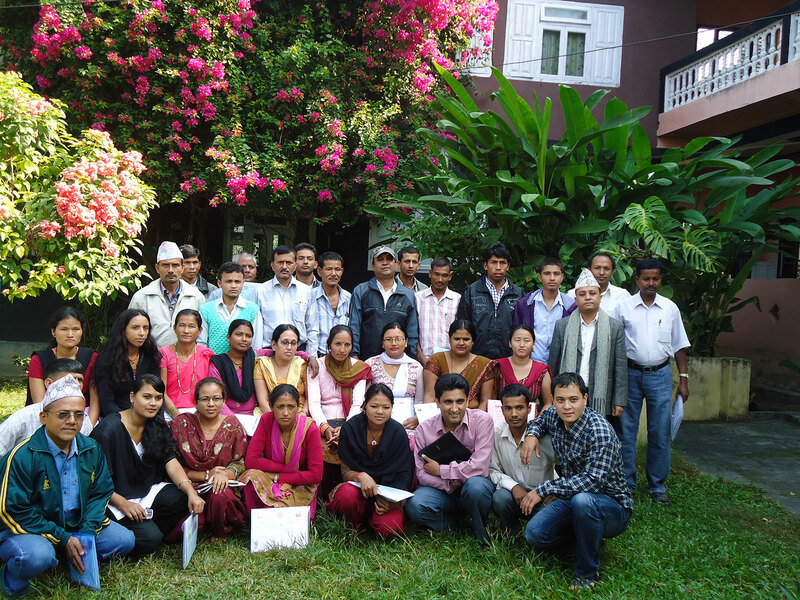 CVSJ operates at six levels: It has a 13-member General Assembly and Central level office in the Nepal capitol, Kathmandu, and committees in the regional, zonal, district and village development committee (VDC) levels. CVSJ has 33 numbers of members, each of whom pays 50 Nepali rupees to become a member.CVSJ is currently led by Janak Bahadur Raut, President, who has been leading this organization since its formal establishment. 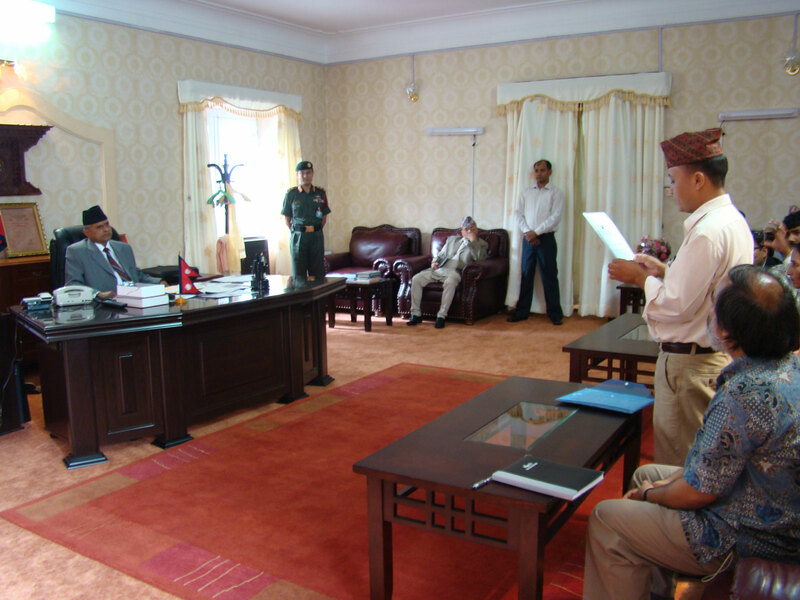 Also, Mr. Janak Bahadur Raut was nominated by the Government of Nepal (GoN) as a member of the Task Force of Experts for recommending the GoN for drafting bills for TJ mechanisms. CVSJ-Nepal is a victim-centric, victim-led organization that aims to mobilize and empower victims to do lobbying before the GoN to deliver justice and to end impunity. CVSJ became a Council Member of the Asian Federation Against Involuntary Disappearances (AFAD) in 2009, and has remained an active member. Vision: To ensure conflict victims' access to justice with effective transitional justice mechanisms established conforming to Nepal's international legal obligations. Mission: CVSJ works to bring forth the voices of victims' of human rights violations in order to ensure their rights to justice and remedy through high level policy advocacy and lobbying, as well as through campaigning and documentation. It seeks every possible measure to establish accountability for human rights violations occurred during the conflict in Nepal, and thereby to establish sustainable peace in the country. Goal: Redress victims' of human rights violations for social justice. Collaborate with civil society and various national human rights organization to safeguard the rights of conflict victims. In order to achieve these objectives, CVSJ has collaborated with international and local NGOs, and has also worked independently, to organize a series of transitional justice and human rights abuse documentation workshops, and victims' empowerment and mobilization exercises. We seek your generous support to help us strengthen and expand our support for the victims of various human rights violations, including torture, extra-judicial execution, killing, enforced disappearance, sexual violence, displaced, abducted, wounded etc, in Nepal. We are making intervention from the community level to policy level aiming to make changes in the policies, provide victims with psychosocial, medical and also legal (we refer to) support to victims of human rights violations in more than 55 districts in Nepal. We do sustained advocacy and lobbying, campaigning, documentation in order to redress the victims. For more information on donations or to inform us of a transfer, please contact Janak Bahadur Raut, President of CVSJ-Nepal (conflictvictimsociety@gmail.com). Please feel free to write to us for any queries you may have.